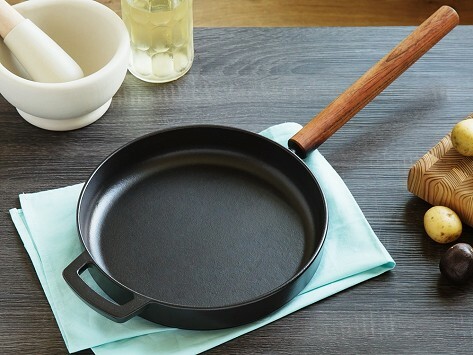 Made in Holland and guaranteed to last a lifetime, this cast iron frying pan is made from recycled railroad tracks. A layer of stain-resistant matte enamel boosts this heavy-duty pan’s durability and an extra-thick base encourages even cooking and better heat distribution. Dimensions: 11" diameter x 3"